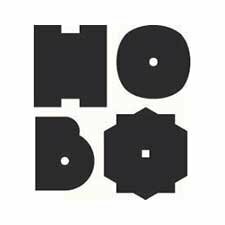 Creativity and challenging the accepted is what Hobo is all about and now we are looking for our new Commercial Manager. At hobo you will find a professional and dynamic work environment & great career opportunities within Nordic Hotels & Resort and Nordic Choice Hotels. The role as Commercial Manager at Hobo is about increasing and optimizing all revenue streams. You will work with revenue management, e-commerce, marketing and distribution. Your daily focus is to optimize revenue across all segments and drive sales in all channels. Daily yielding- to sell the right product at the right time to the right customer and at the same time through the most profitable channels. In addition to the daily Revenue Management and E-commerce related tasks you are overall responsible for the strategic work on both long and short term. You will have a Marketing Coordinator & Group Coordinator reporting directly to you. You are analytical & organized as well as sales-driven and focused on the details, you like to challenge the status-quo and enjoy working in a high paced environment. It’s important that you have good skills in communication, to be able to lead the organization forward according to the strategies set in hobo management team, which one you are a part of. Commercial Manager reports directly to, General Manager. • At least 2 years of Revenue Management experience. • Experience within E-commerce & Sales is meritorious. • Analytical, structured and result oriented. • Great knowledge in Excel is required, knowledge in Google Analytics, SynXis & PMS-systems is an advantage.